Home » Blog » Why does Garfield love lasagna? 13 JanWhy does Garfield love lasagna? 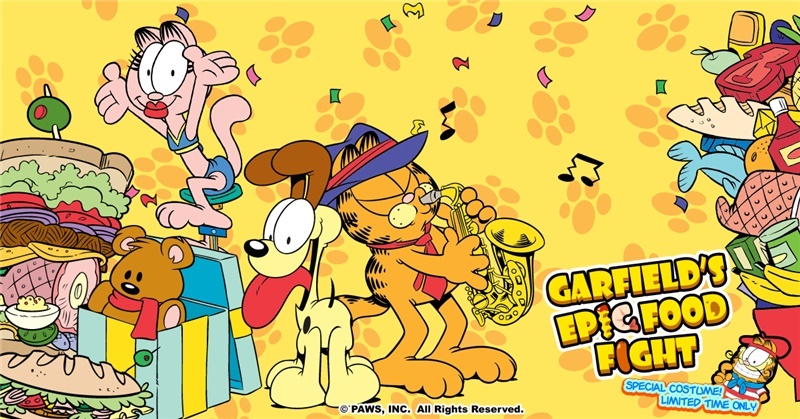 Garfield, the orange, sardonic, lazy cat and the title protagonist from the popular comic strip created by Jim Davis, is known for his peculiar fixation for pasta (lasagna, in particular). Garfield has described lasagna as “nature’s most perfect food.” But what’s the real reason Garfield is so obsessed with creamy, cheesy, mouth-watering lasagna? Apparently, this addiction started the day he was born, when he was just a fuzzy little kitty, weighing only 5 lbs and 6 ounces. Garfield was born in the kitchen of Mamma Leoni’s Italian Restaurant, where he immediately developed an obsession for lasagna. He gobbled up so much pasta then that the restaurant owner had to sell the lasagna-crazed cat off to a pet shop or close down his restaurant because there won’t be enough pasta for his business to run. So when lasagna is in danger, even the laziest cat can turn into a mighty hero. In Garfield’s Epic Food Fight, food-stealing aliens use their advanced technology to transform food into horrifying constructs of evil to sow chaos and cause worldwide famine. Garfield can’t imagine a lasagna-less future so he breaks out his claws to take on extraterrestrial meatballs! Join Garfield and friends as they battle the Food Invaders in Garfield’s Epic Food Fight!